Property: high-performance with flame retardant & halogen free Meet the requirement of wear protection in various industrial fields .it expands the diameter to 1.5 times larger than the original size with unique weaving structure. 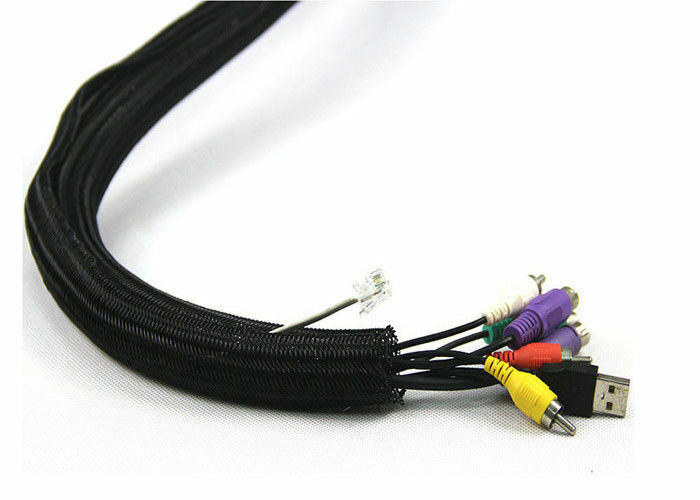 deal for assembling wiring harness,also can easily go through the huge volume connector .With Property of flame retardance, oil resistance, halogen free, simple operation and easy assemblely. Application: Widely used in switch cabinet, railway, high speed rail, aerospace and other industriesfield which bears requirements for high flame retardance level,performs well on wires assemblely and protection.